Dan and Laura love gardening and the outdoors. 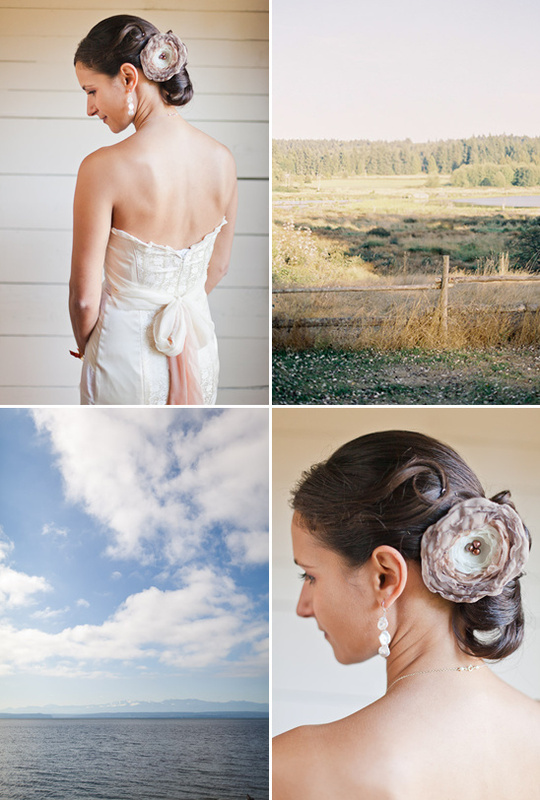 It is around these loves that they chose to get married on Whidbey Island. 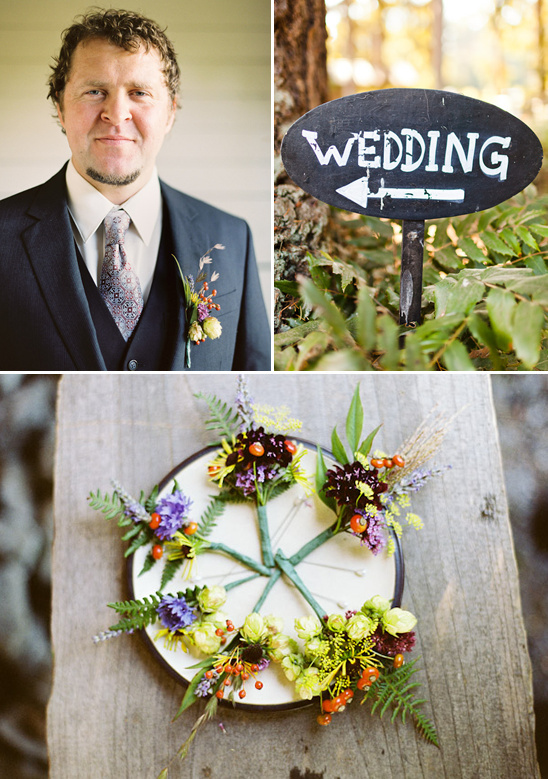 Married at Fireseed Catering (their wedding venue on Whidbey) with little touches here and there that exemplify their love. Hand stamped spoons with words like ‘Oregano’ and ‘Thyme’ were arranged on the reception tables. 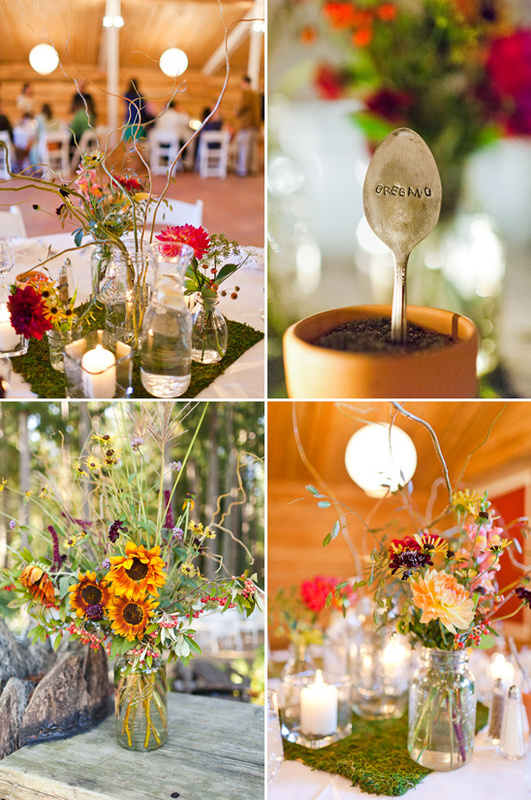 These spoons guided guests to their appropriate seat, or the vintage gardening book that guests could sign and leave wishes for the new couple. 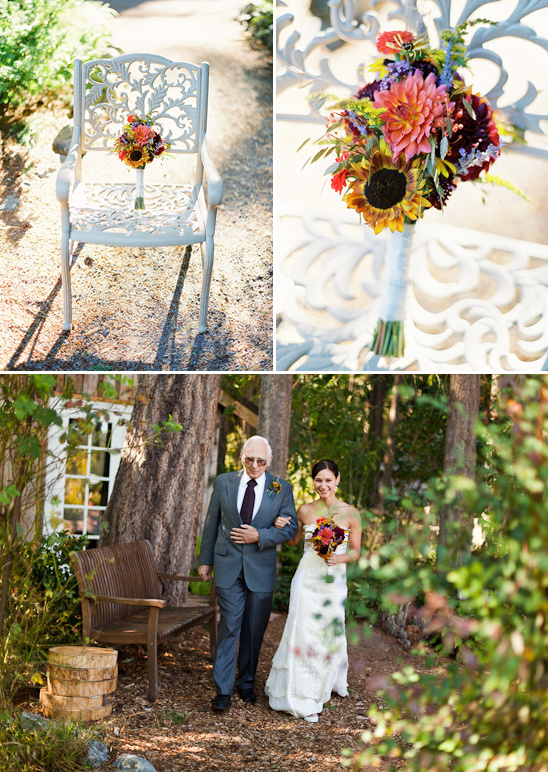 Small, intimate and joyful and all photographed beautifully by Kirk Mastin of Mastin Studio. To see all the beautiful images click here and read on to her more details form Laura. 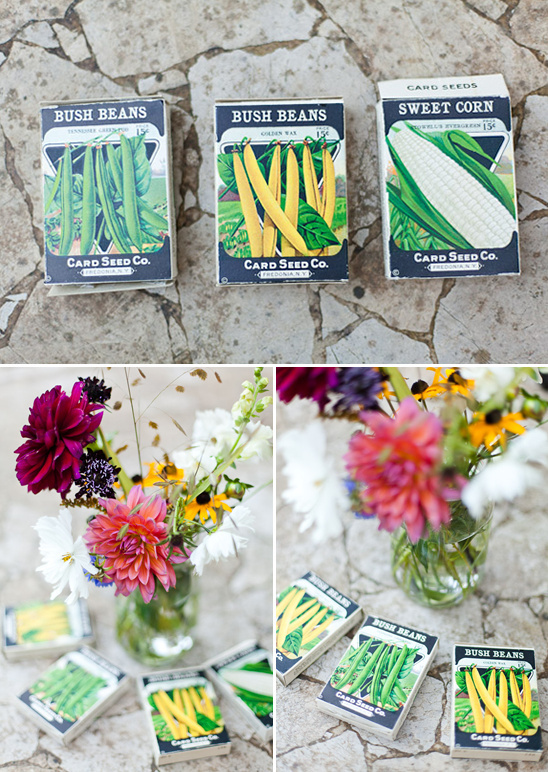 Our Valentine’s Day tradition is to plant our sugar snap peas in the garden together. This signifies the official start of the gardening season for us, which we love, but also gives us pause to consider all of things we grow and build together in our lives. Last February 14th as I dug my spade into the earth in order to plant our peas, I instead found a buried little box beneath our beautifully compost-laden soil. I was utterly confused at how a cute little box sealed in a zip-lock bag came to find itself exactly where I was going to plant my first pea pod. As I slowly realized that this was my wedding ring, I looked at Dan and started crying. Kirk is fantastic to work with. 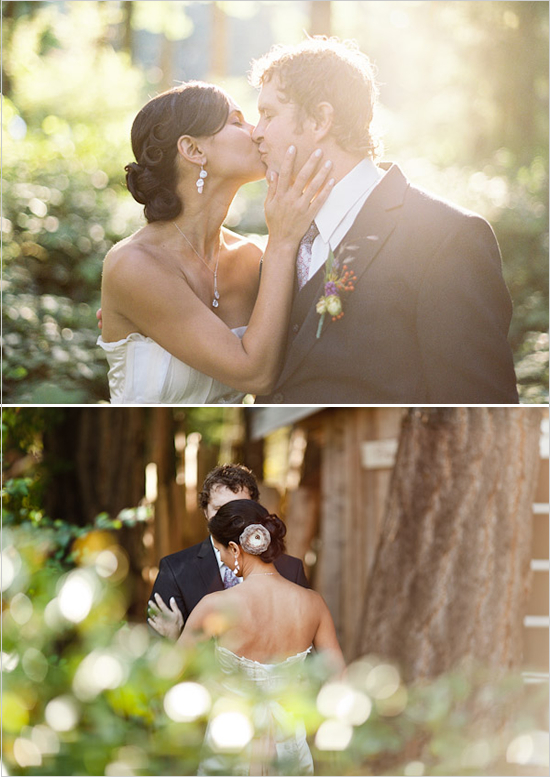 He is incredibly talented and has such a gift for finding just the right shots to capture the essence of the moment. 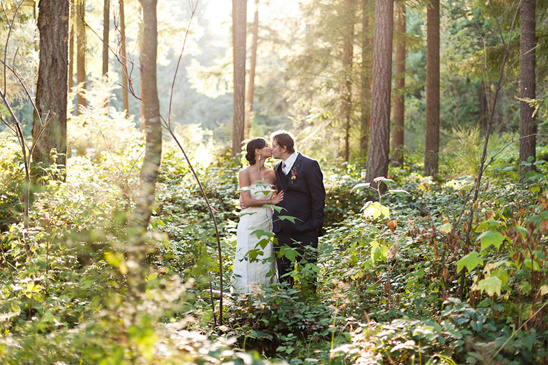 He brings a creative and artistic perspective to wedding photography. He went above and beyond our expectations - even down to the thoughtful and detailed image packaging.We knew Fireseed was the perfect fit for us as soon as we drove up. 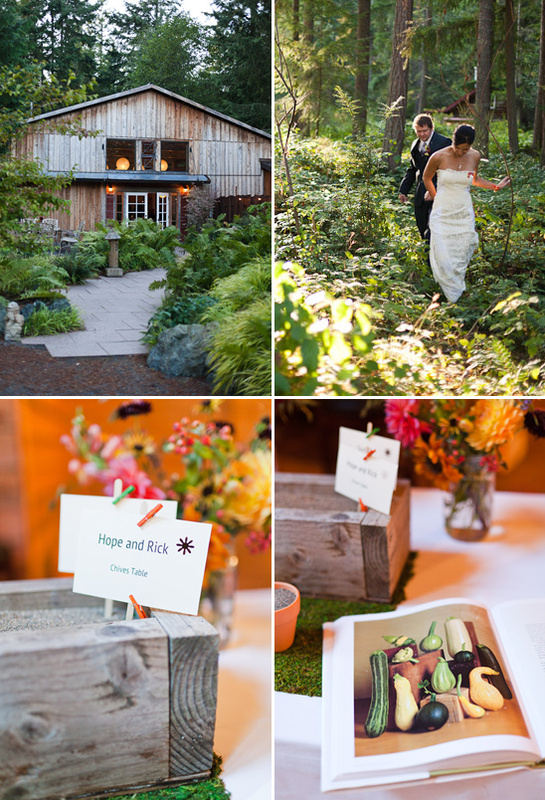 It’s an old farm with a beautiful organic vegetable garden, expansive flower beds, and lush green ferns around a beautifully restored old barn. 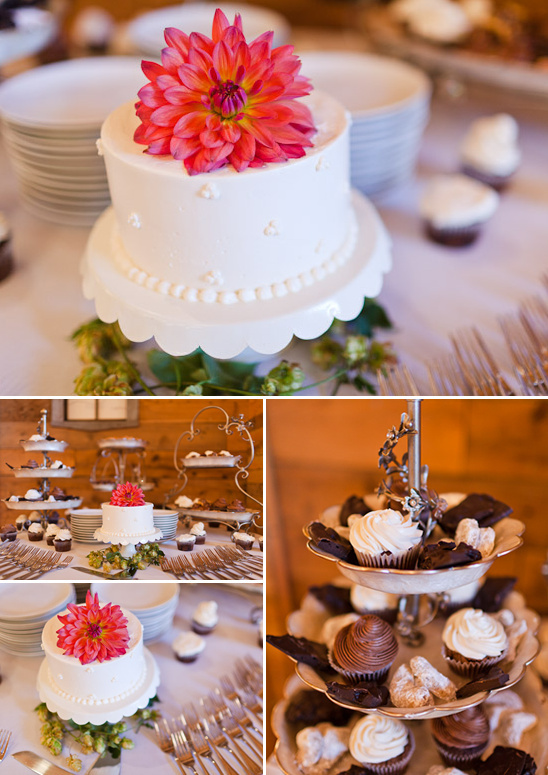 The owners are a couple that also run a catering business. 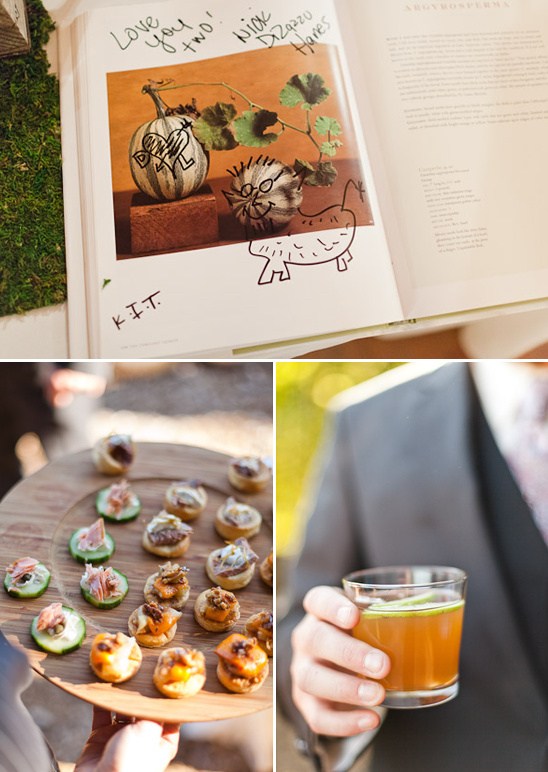 Their culinary creations are made with fresh seasonal ingredients from the on-site garden or nearby farms on Whidbey. What was your processional music? “Heard Them Stirring”, by The Fleet Foxes. Recessional music “Can’t stop now” by Major LazerOur best friends, Martha and Brian Callaghan are incredibly talented musicians. 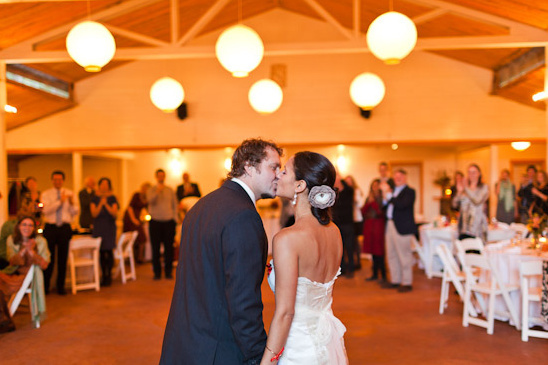 We were honoured when they agreed to play a song for us to dance our first dance to. They played “Wedding Song” by Anais Mitchell. It can be a bit intimidating to have lots of eyes just watching you dance, but to hear our dear friends’ voices above it all made it comforting and extra special. It was a love-filled day all around. It was amazing to have all of our loved ones in the same place. We lucked out with an amazingly clear and sunny day, which is no small feat in October in the Pacific Northwest.